This was my third or fourth trip to Nashville and I love it more each time... but after this weekend, I'm officially obsessed and am already planning the next trip. This was my first official work trip for PS46 as a full-time business owner and I couldn't be more thrilled with how the weekend went. 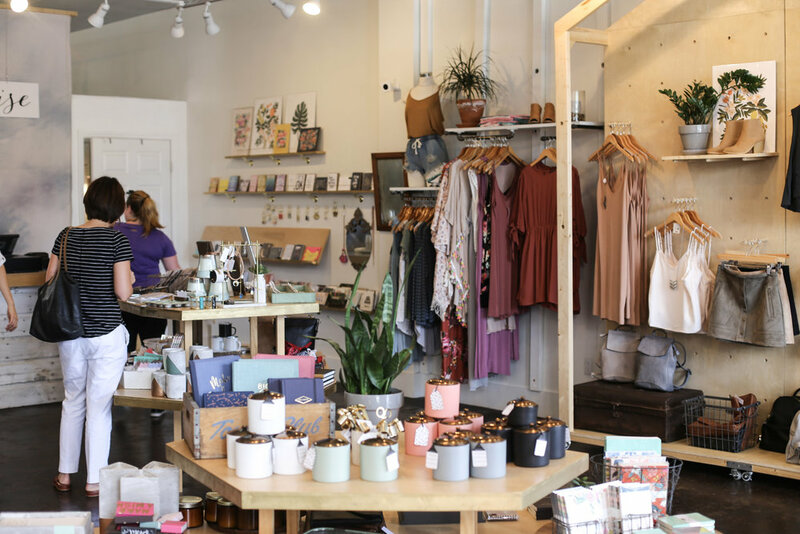 It started with a pop-up shop at the cutest boutique on Saturday and I'm excited to share some details from the day! I want to start off this recap with a huge THANK YOU to the many of you who showed up at Vinnie Louise in East Nashville on Saturday. You all are the reason that the day was a booming success and I had the best time meeting you, hearing your stories and stamping them onto my jewelry for you. The pop-up shop was scheduled from 11-3 so I showed up along with my fiancé around 10:30 to set up. Vinnie Louise welcomed us with the cutest sign and balloons outside and a set up of cupcakes and mimosas for everyone who came in during the day. My station was hardly set up before I sold my first necklace of the morning and it took off from there! There was a line all the way across the shop all day and I pretty much never stopped stamping the entire four hours. You all are AMAZING. Your support, your stories, the messages you chose to have stamped... what a day. 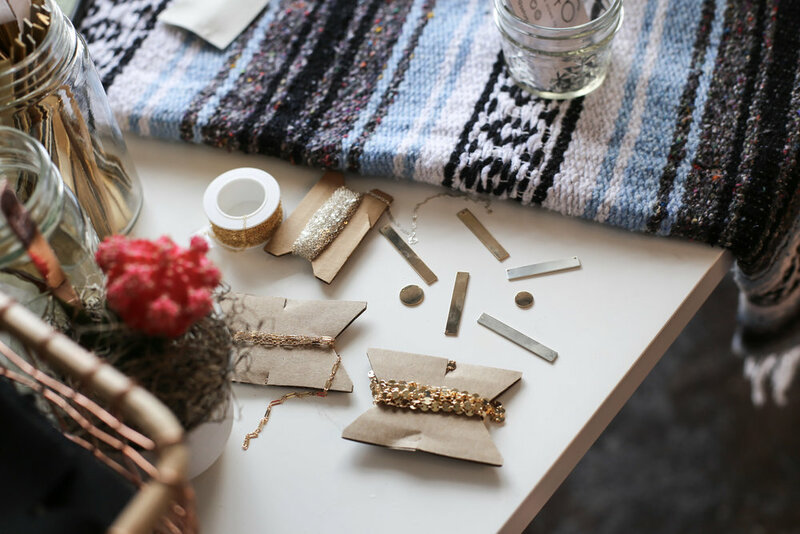 If you missed the pop-up shop Saturday, don't worry, I have good news... we have some super fun and exciting things planned in partnership with Vinnie Louise that I'll be sharing oh so soon! 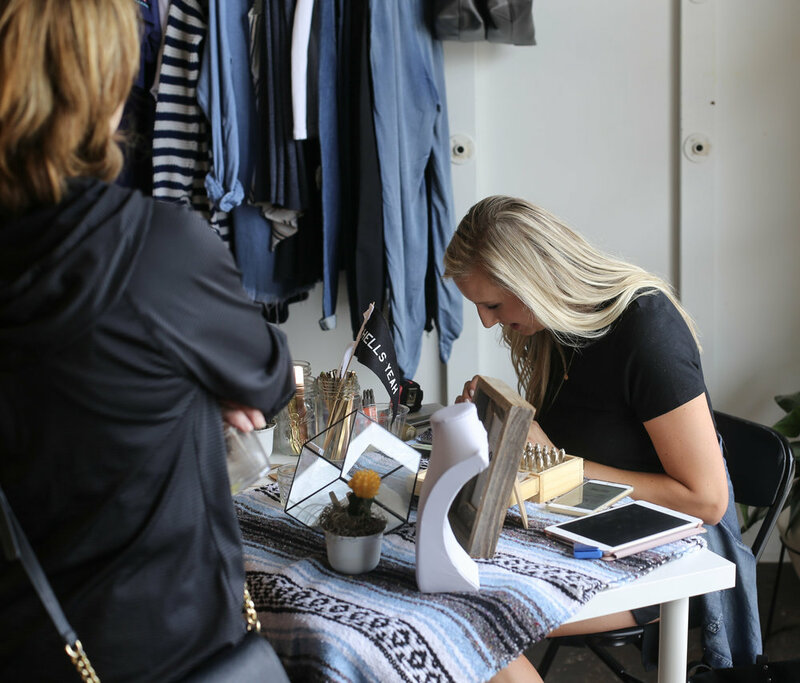 Check out my schedule here to find the next pop-up shop near you!